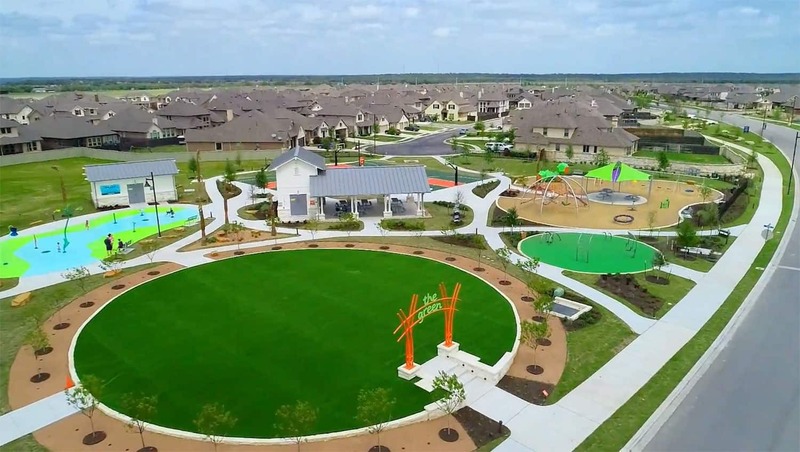 ToughLawn recently installed 6,000 square feet of Everlast Tacoma at a residential community park in Austin. Tacoma features a dual coloring of field and lime green and has a pile height of 1.75 inches. With a 90-ounce face weight, Tacoma is built to endure moderate to heavy traffic. It drains at a rate of 30 inches of rain per hour per square yard. The recent artificial turf installation in the primary community park allows for the development to have an everlasting green lawn without the maintenance necessary of natural lawns. Tony Deleon, the owner of ToughLawn, enjoyed the installation and was happy to help enhance the community. “The product we installed is friendly for families and pets. It’s durable for play and yet is a plush, comforting grass,” Deleon says. Because of the artificial grass installation, Santa Rita Ranch will be able to spend more time and money in continuing to enhance their development, rather than maintaining the lawn. Deleon and his small team are “very detail-oriented with their installation to ensure each project is completed to perfection,” according to Deleon. “We are very responsive to our clients and have good communication with everyone involved.” ToughLawn’s rapid growth since their start in 2015 has inspired Deleon to begin looking at franchising nationwide. The company serves all of Texas, including Austin, Houston, and the Texas Panhandle. ToughLawn is Synthetic Grass Warehouse Install of the Month winner for November 2018.